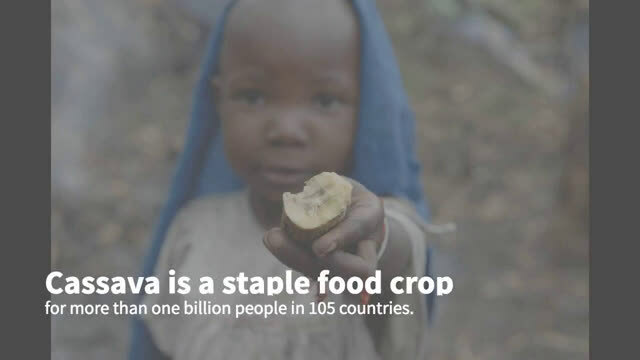 Cassava is a staple in the diet of more than one billion people across 105 countries, yet this "orphaned crop" has received little attention compared to popular crops like corn and soybeans. While advances in breeding have helped cassava withstand pests and diseases, cassava yields no more today than it did in 1963. Corn yields, by comparison, have more than doubled. University of Illinois researchers analyzed four African cultivars to find out how breeding has impacted photosynthesis—the process that transforms light energy and carbon dioxide into yield. They found that unimproved landraces of cassava—cultivars that have not been bred for improvements like pest and disease resistance—are actually 20 percent better at photosynthesizing than their improved counterparts, as reported in Food and Energy Security. This research is part of the international research project Realizing Increased Photosynthetic Efficiency (RIPE) that is supported by the Bill & Melinda Gates Foundation, Foundation for Food and Agriculture Research, and U.K. Department for International Development. The Cassava Source-Sink, or CASS, project generously provided the cassava cultivars. "Cassava breeders have diligently worked to improve the pest and disease resistance of this crop, which has been absolutely critical," said RIPE Director Stephen Long, Ikenberry Endowed Chair of Plant Biology and Crop Sciences in the Carl R. Woese Institute for Genomic Biology and the College of Agricultural, Consumer and Environmental Sciences. "The next step is to improve cassava yield potential by improving its photosynthetic performance. There is clearly room for improvement of genetic yield potential in cassava through photosynthesis, and we must remember that increased genetic yield potential underpinned successes of the Green Revolution." 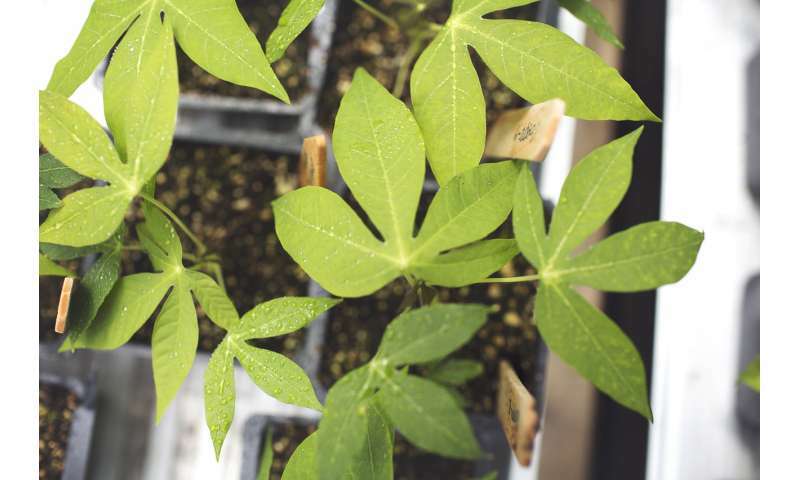 Data from this study is being incorporated into a computer model simulation of cassava, enabling the team to virtually tweak and manipulate photosynthesis "in silico" to determine what genetic changes will increase cassava's photosynthetic efficiency and yield. However, many of the needed changes to improve photosynthesis cannot be achieved through traditional breeding and will require genetically engineering cassava, which has so far been challenging compared to our major grain and seed crops. "Genetic engineering of cassava is our major hurdle going forward," said RIPE postdoctoral researcher Amanda De Souza, who led this study. 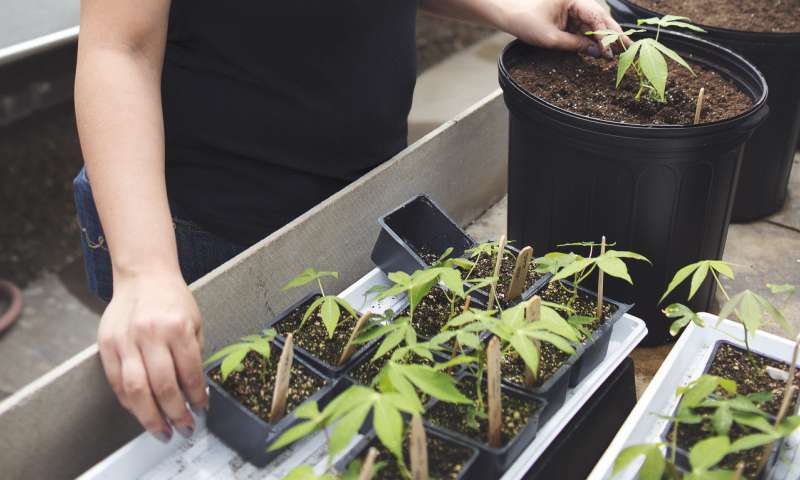 "We know it is possible because colleagues working on the Gates Foundation-supported CASS project have been successful with a model cassava cultivar, but this cultivar is so disease-susceptible that it can't survive in the real world. We need to extend this capability to African cultivars that can thrive in the fields of smallholder farmers."